Our ‘Lonesome Pine’, the Corsican Pine tree at Beechwood has now been taken down. Sadly the tree must be removed to facilitate the laying of our new 3G/4G All Weather Pitch. The tree, which is not indigenous to the UK, was probably planted in the 1850’s as part of the Beechwood Hall estate and grounds. 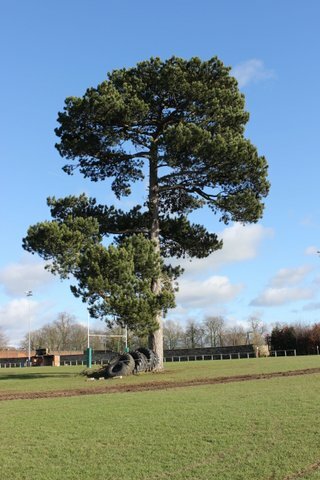 However, the ‘trail of our lonesome pine’ is a good one, its connection with Beechwood and the club will continue. It is planned to keep the trunk and certain larger branches to be used to create features in the new clubhouse.